We have an extensive range of stoves and accessories available for purchase online including stove care products and a range of spares to suit almost any fire including Tiger,Firefox and Burnall ranges plus many others. We also stock items for open fires such as All Night Burners,Fire Grates, Dog Baskets,Dogs etc. 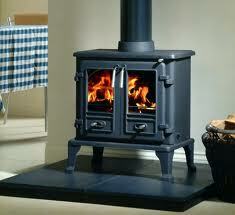 All our stoves are sold with a free firepack to get you started.